Roundup is Monsanto’s best-selling herbicide product, and it contains a toxic ingredient known as glyphosate. It is widely known that glyphosate is profoundly damaging to human health. Two major peer-reviewed studies showed links to breast cancer cell proliferation and intestinal and gut damage, which can lead to diseases such as diabetes, gastrointestinal disorders, heart disease, obesity, autism, Parkinson’s and Alzheimer’s. Research conducted in 2010 suggests that glyphosate may be linked to birth defects. 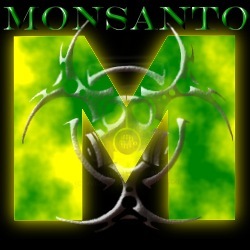 Regulators – and of course, Monsanto – claim glyphosate is excreted from the body. But studies disproved that: the chemical has been detected in urine samples, blood samples, and even breast milk. Today, regulators from the Environmental Protection Agency (EPA) met with a group of mothers, scientists, environmentalists and others who say they are worried about Roundup residues found in breast milk. That meeting is a result of the persistence of a group called Moms Across America, a national coalition of mothers whose mission is to increase awareness of GMOs. They are demanding a recall of Roundup. Glyphosate is under a standard registration review by the EPA. The agency’s deadline for determining if glyphosate use should continue as is, be limited, or halted altogether is in 2015. And the chemical doesn’t only harm people – environmentalists, consumer groups and plant scientists from several countries have said in recent years that heavy use of glyphosate is causing problems for plants and animals as well. In 2011, U.S. government scientists said they detected significant levels of glyphosate in air and water samples. Yet, widespread use of the product is still allowed. Considering the revolving door for employees of the government and Monsanto, should we really expect the EPA to do anything about protecting us from this toxin? The EPA has a long history of colluding with and protecting industry. In fact, a recently-released book written by a former EPA employee exposes the agency’s corruption and disregard for the safety of the American public. The book, called Poison Spring: The Secret History of Pollution and the EPA, details the case of whistleblower Cate Jenkins, an EPA scientist who brought attention to what she considered to be Monsanto’s fraudulent claim that exposure to dioxin did not cause cancer in workers. Author E. G. Vallianatos worked for the EPA for 25 years, and saw firsthand not only the science that found toxicity in the pesticides Big Agriculture has been applying to crops, but how those discoveries played out within a highly politicized EPA over five presidential administrations. I wish that group of mothers luck, and admire them for their tenacity and dedication, but I don’t expect the FDA – one of the most corrupt and overreaching government agencies in existence today – to care what citizens want or think. However, raising awareness and making our voices heard are steps in the right direction, and are certainly far better than being complacent and apathetic victims of big industry and increasing government corruption. Listed below are links to blogs that reference this entry: Activist Moms Confront EPA About Roundup Herbicide. This page contains a single entry by Toni published on May 30, 2014 10:40 AM. Thyroid Cancer Epidemic Caused by Misinformation, Not Cancer was the previous entry in this blog. Moms to EPA: Recall Monsanto’s Roundup is the next entry in this blog.